It’s the 100th Anniversary of the National Parks Service, so Pam and I invited our friend Judy to join us on a 10-day road trip to the Four Corners where Utah, Colorado, Arizona, and New Mexico meet. We spent two nights each in Mesa Verde National Park, Canyon de Chelly, Bluff, Utah, and then headed north to Capitol Reef National Park. Each place is rich in ancient cliff dwellings and thousand-year-old rock art. The trip combined scenery, culture, nice lodging, and, at times, unusual shopping experiences. It’s an ideal journey for seniors who are fit and who don’t expect super luxe or expensive hotels. The longest leg was the six-hour drive from Salt Lake City to Mesa Verde, but the views and a few interesting stops along the way made it go by quickly. We picked Judy up at Salt Lake International Airport and headed south to Mesa Verde National Park. Midway we stopped in Moab for lunch. Moab is classic tourist town and gateway to Arches and Canyonlands, two of Utah’s five national parks. Both are worth exploring but during the cooler months. This was mid-June and temps were headed toward uncomfortable. Teddy Roosevelt gave Mesa Verde national park status in 1906. Today its 55,000 acres are both national park and World Heritage Site. It’s a magnet for people from around the globe. After the tour we hiked Petroglyph Trail, a two hour up and down walk to an underwhelming rock art panel, followed by a taxing vertical climb to a level walk back to the car. It’s a beautiful hike with memorable canyon views; excellent preparation for a good night’s sleep. Later we toured portions of the canyon in an aging vehicle with Navajo guide Winnie Henry. The three-hour tour was enough to enjoy great scenery and Winnie’s stories of growing up in a hogan (the traditional hexagonal one-room structure) with her sister and eight brothers. She works for Beauty Way Tours. The three-hour tour for three people cost $175. About 30 minutes north of Monument Valley is tiny Mexican Hat, Utah, named for a nearby balancing rock. It’s a putting in place for river rafters who come there from all over the world. The international nature of the place is evident in Valle’s, a small eatery, where diners have papered the walls with personal notes and their home-country currency. The food is refreshingly tasty for a place with four tables and a wall lined with cold beer. A short drive north, and we were in Bluff. We had booked a day of exploration with Vaughn Hadenfeldt of Far Out Expeditions the area’s go-to guide for exploring this archaeologically rich area. Despite the heat we visited numerous treasures including two cliff dwellings and multiple rock art sites, including one with pictures of mastodons, thought by some researchers to be the oldest known rock art in North America. Comb Ridge Cafe is a charming restaurant with a first rate menu. Another is Cottonwood Steak House where meals are served in a frontier-themed courtyard. Duke’s, a recently added dining option was overpriced and disappointing. A few hours later we entered Capitol Reef, the least visited and, possibly, most beautiful of Utah’s national parks. Its quarter million acres form a North-South corridor of natural arches, slot canyons, monoliths and spectacularly endless views. Like the rest of the places visited, Capitol Reef is known for its dark skies. If visiting on a moonless night, the Milky Way and constellations dot the heavens with pinpoint clarity. Lodging and dining are available in nearby Torrey, Utah with Castle Rock Coffee Shop a good choice for breakfast and lunch and Cafe Diablo for dinner. If the moon is rising, dine on the deck of the Rimrock Restaurant. You’ll be amply rewarded. 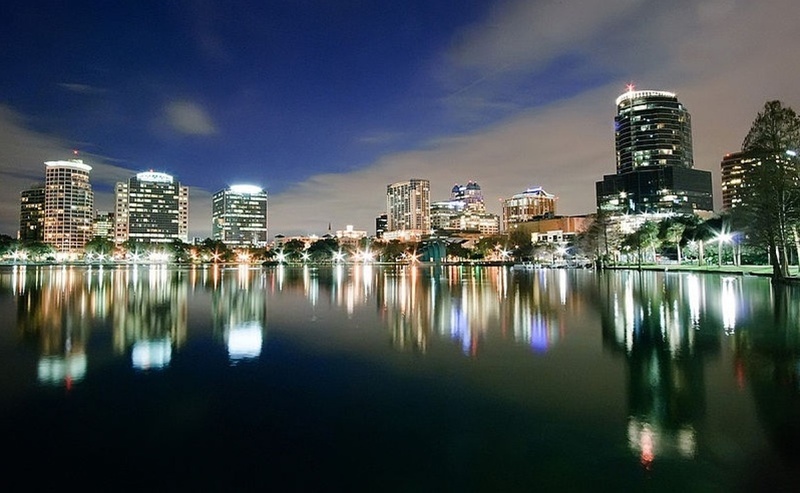 A city world-renowned for its theme-park attractions, great nightlife and nearby sunny beaches, Orlando also goes beyond that and is truly a destination for the entire family. With its mixture of traditional and modern entertainment, fine art museums and galleries and world-class amusement parks such as LEGOLAND® and Walt Disney World, Orlando continues to be a hotspot for the entire family. Travel-Ticker Example Deal: $70/night: last-minute global sale on weekly condos, $489+*: Savings worth waiting until the last minute for — over $300 off. Head out to one of over 70 global destinations and stay a week for as little as $70 per night. Visit Disney World in Florida, Palm Springs, the Caribbean, Europe, Mexico, and more. Availability is limited and only valid for travel within 30 days of booking. Even if you can’t stay all seven nights, you’re still getting a great rate.